are two interacting galaxies at upper-left, which in this orientation, form an upside-down Heron. The smaller S-shaped galaxy, 5394 is believed to have cartwheeled through the larger 5395 at top. Together, they are also designated Arp 84, and are approximately 165,000,000 light years away from us. 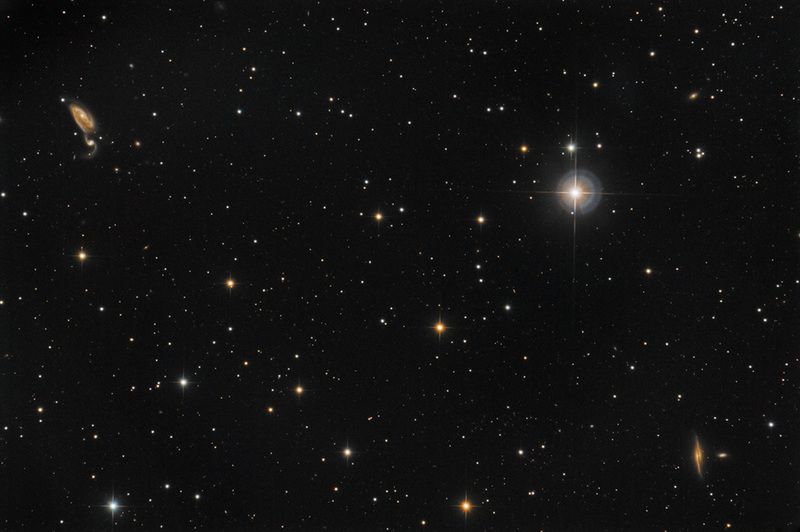 In the lower-right corner is the lovely edge-on NGC 5403, and to its right, PGC 49824.